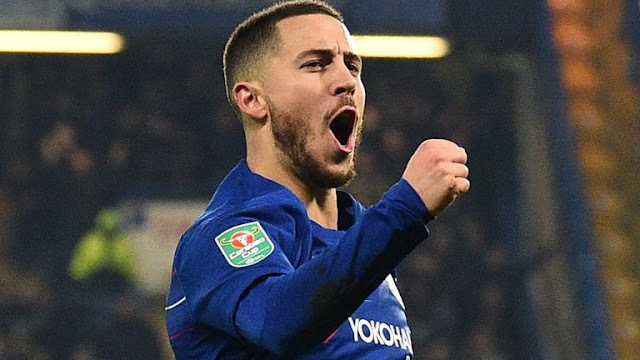 Eden Hazard has been Chelsea's key player in recent years but has also made known he would love a move to Spanish Giants Real Madrid..
Maurizio Sarri will not be an obstacle to Eden Hazard if he really wants to leave Chelsea but doesn't see Callum Hudson-Odoi leaving for Bayern Munich, as he has the characteristics of becoming Europe's best player. mier League clash at Bournemouth. "Eden is 28. If he wants to go, I think he has to go. "He has the potential to be the best player in Europe at the moment." Chelsea might end up losing the Belgian as a free agent at the end, ending seven fruitful years with two Premier League title wins and last season's FA Cup trophy to show for his time at the club..